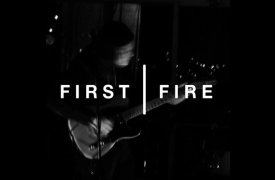 First Fire is an indie rock trio in Los Angeles CA. 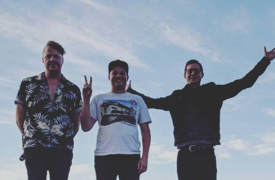 Their sound and presence can be described as raw, eager, and honest. 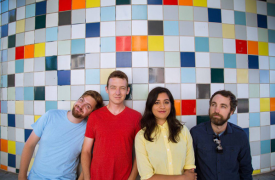 They draw inspirations from artists like Jeff Buckley, Bright Eyes and Radiohead. After studying jazz and improvisation at CSUN, the members of First Fire’s return to songwriting feels as much like a liberation as it does a homecoming. Between confessional lyrics and jazz-influenced chords and rhythms, First Fire engages the mind and the spirit. This return to deepest passion hopes to encourage fans to rekindle their first fires as well. Jasmine Sankaran began writing songs in her bedroom, shrouded in the obscurity of Ventura County’s suburban labyrinth. After graduating from Berkeley with a degree in Creative Writing, she realized she had written more songs in college than short stories…From there she developed her sound with punk angst and melancholia at its core surrounded by ambient melodies and heavy textures. Her lyrics often combine the mysticism of her Vietnamese-Indian culture with the heartbreak and reality of growing up.